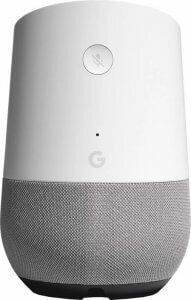 Google Home is now available on Flipkart. Purchase this product before 30th April and avail 18 month subscription on Gaana Plus for just ₹1. Controls smart lights, switches etc. plus acts as a receiver for Chromecast devices. Controls Alexa-enabled products like light, fan, etc. Is it possible to exchange wired speaker? At present exchange offer is not available. Earlier exchange was available for Bluetooth speaker only. Check the product page for current offers. Right now exchange offer is not available at Flipkart, will update soon when available.